Jerry Lawson is a lawyer and author of The Complete Internet Handbook for Lawyers (ABA LPMS 1999). Mr. Lawson operates the Internet Tools for Lawyers Web site. Brenda Howard is the owner of CreativeWriting.com, LLC, a Web design firm in the Metro DC area. Ms. Howard is also a Corporate Software Trainer specializing in the Internet. Dennis Kennedy is a lawyer in the Intellectual Property and Information Technology Department of Thompson Coburn, LLP in St. Louis. Many of his articles on Internet and technology topics may be found at his web site. What Are the Best Online Resources for Web Site Development? Brenda Howard (BH): This month’s topic is web sites and other resources that are useful for law firm web development. Jerry, what is a good starting point? Jerry Lawson (JL): The Law Marketing Portal, http://www.lfmi.com/ is one of the best sites for law firm marketing information. It contains a wealth of content, and, perhaps most important, it is a gateway for subscribing to the Lawmarketing mailing list, a premier resource. Dennis Kennedy (DK): My favorite site goes back to my earliest days on the web, when I relied on a site that had several key articles on law firm web design. That was a time when there were only a few articles or other resources. That site, of course, is our own Jerry Lawson’s excellent “Internet Tools for Lawyers” or NetLawTools.com site, where you can see Jerry’s latest thinking on law firm web pages and other issues, such as e-lawyering. I also refer people to the chapter on law firm web pages in Jerry’s book as a great place to start. Another site that has been a valuable resource for many years is Peter Krakaur’s LegalEthics.com, an essential resource for the ethics issues raised by law firm web sites. BH: There’s no question that Jerry’s site is an excellent resource for web development information. The information contains solid advice and it’s thorough. Jerry has been filling his site with web development tools since 1996 and has kept it updated regularly since that time. DK: It’s important to note that there really isn’t one primary resource that serves as a one stop shop for information on developing law firm web sites, although FindLaw has a useful, pretty comprehensive, though a bit dated collection of resources at http://marketing.lp.findlaw.com/articles/artsint.html. In general, you will want to find the web sites of experts who’ve designed great pages and also written articles on the subject. Four of those sites come immediately to mind. First. Mark Pruner’s WebCounsel.com, on which you can find some of Mark’s thoughtful and influential articles. Second, Kevin Lee Thomason’s collected articles at KevinLeeThomason.com, which are perceptive, inventive, challenging and practical all at the same time. Third, the Greenfield/Belser site which features some innovative web designs and a number of fascinating studies and articles on law firm marketing, including a recent article that appeared in Law Practice Management magazine on “third generation” law firm web sites. Fourth, even though he doesn’t write as much on law firm web site design these days, Bob Ambrogi’s early articles on web page design are still very useful. JL: Dennis took my “sleeper” pick: Kevin Lee Thomason’s site. Thomason is a San Francisco area lawyer who founded the country’s first web site design business for law firms. Another site I like a lot is Red Street Consulting. Developed by Erik Heels and Rick Klau, two lawyers with extensive Internet experience. The main feature is reviews of hundreds of law firm web sites. The best way to learn is by studying examples, along with explanations of what works and what does not, written by someone who knows. Heels and Klau are also the authors of the excellent ABA Publishing book Law Law Law on the Internet (1998). 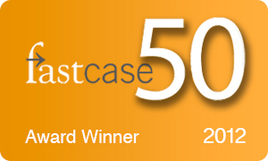 BH: I also like to use case studies and reviews as a guide for use when creating a web site. Microsoft does this type of thing also. They are trying to promote the use of FrontPage 2000 for small business owners and they’ll review small sites for their case studies. Dennis, what do you think about using other site’s reviews as a guide for designing your own site? DK: While I believe that it is essential to look at other sites, it’s easy to pay too much attention to reviews. I agree that the Red Street site is an important resource because it provides handy links to the big law firm sites, but I tend to disagree with the conclusions of the Red Street reviews and the emphasis they place on certain elements and considerations. I evaluate certain features and designs of web sites in a far different way than Heels and Klau, but their reviews are often a useful starting point. I’ve seen a number of people designing to do well in the Red Street evaluations rather than focusing on how to make their sites work better for their intended purposes. Ultimately, you need to care more about pleasing your audience than pleasing reviewers. Note, too, that the reviews on Red Street and elsewhere can be dated and sometimes do not reflect recent changes to sites. JL: The Red Street site has not been updated in a while as I write, but even their older reviews remain useful. Like Dennis, I frequently disagree with their assessments, but this is where their instructive value is highest. They speak not as Johnny-Come-Latelies, but with the benefit of tremendous knowledge, and prompting me to think through my own views more carefully. BH: The Redstreet site has a certain value, but it is important to use a resource that is as current as possible. Each year we learn more about market research and usability studies and we need to stay current on what the target market likes and does not like. After all, the site is created for the visitor to the site and not necessarily for the site owner/law firm. JL: Amen to that. You are hearkening back to one of my favorite notions, the “client centered” web site! 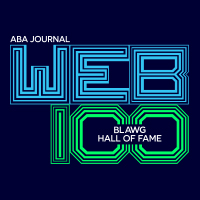 The ABA’s eLawyering web site is another valuable online resource. It has a number of thoughtful essays dealing with the “latent legal market,” i.e., potential clients who could benefit from hiring a lawyer, and afford to pay for legal services, but who avoid lawyers for a variety of reasons, including fear of high fees. There are also other resources and links to other resources, especially in the “Web Site Workshop” section. DK: Excellent choice, Jerry. Those are key issues that lawyers should spend some time thinking about. Keep your eye out too for the debut of another ABA project, LawPractice.org, a new webzine that will be devoted to cutting edge practice issues, including use of the web. BH: Thanks for the “heads up” on new resources. Are there any others that should be mentioned? DK: One last legal-specific site before we turn to some general resources. That would be the excellent LLRX.com site, which includes a wealth of valuable information. Searching the archives will turn up a number of truly useful articles. JL: Another real winner. This is one of my favorites, and not just for marketing resources. BH: One general resource that is much more than general is Jakob Nielsen’s Alertbox. Nielsen has been writing, studying and advocating a “user friendly” site design since 1995. This was back before we even thought about having usability studies, when we were making the mistakes like putting yellow text on a black background. Nielsen has long since championed the cause of a very simple, fast loading and informational web site. It wouldn’t hurt to read every article he’s ever written since 1995 – they are on his Useit.com site – or just read his book, “Designing Web Usability: The Practice of Simplicity”. Either way, you’ll learn a great deal about creating a “user-centered” web site. JL: Brenda, you and Dennis discovered this mother lode of good ideas before I came to realize its value. We’ll be featuring Nielsen’s ideas in at least one future Roundtable column. BH: Jerry, there are too many to mention in one article. For free scripts, I usually turn to Matt’s Script Archives or Java Boutique. For “how to” articles, my favorite is Webmonkey, but I also like About.com. Their web design expert, Jean Kaiser, has been writing a weekly feature article on web design since 1997 and has a huge collection of “how to” articles and resources links. One site has become extremely important lately and that’s the Cast site containing the Bobby test. This test will let you know if your site is handicap accessible or not. While the private sector has not yet come under fire to comply, the public sector is required by law to have web sites created that are handicap accessible. The Bobby test is free and it only takes a few seconds. JL: Wow, that’s a list of heavy hitter sites. I’ve used all those except Java Boutique and agree with your assessment. I consider the About.com site a top “sleeper” pick. They have great material there, frequently updated. It is an excellent example of one successful virtual community format. Handicapped accessibility is particularly important to law firms, because public service organizations prefer “impact” litigation. An Americans With Disabilities suit against a law firm would be more attractive to the news media than one against most other organizations. Web Site Garage is a wonderful site that costs nothing, but could benefit many web sites. It provides a number of free services, including “GIF Lube,” which optimizes graphics so they will download faster. It is an easy online operation. BH: NetMechanic is comparable to Web Site Garage. It also includes useful tools like HTML checkers and dead link checkers. DK: There are lots of other great general resources sites, such as Web Techniques magazine site. And there are also specialized sites for certain aspects of web page design or promotion. An example would be http://www.searchenginewatch.com. By the way, I’m starting to collect links to those types of sites at http://www.denniskennedy.com/legalweb.htm. JL: Which reminds me, my final pick is DennisKennedy.com, a site operated by our esteemed co-panelist. It is one of the better legal technology sites out there, with many insightful articles on web site design for law firms. DK: Jerry, I think that pick gives this discussion a certain symmetry. By the way, did we mention “The Internet Roundtable” columns archived at LLRX.com? The important thing is that there are some wonderful resources out there, part of the self-reflexive nature of the web. Many people have been very generous in putting valuable insights and information on this topic on the web.